Oregon’s water parks are few and far between — most people flock to the sunny Oregon Coast to fill up on watery good times. But as if to make up for the lack of water parks, Oregon offers wonderful municipal aquatic centers. 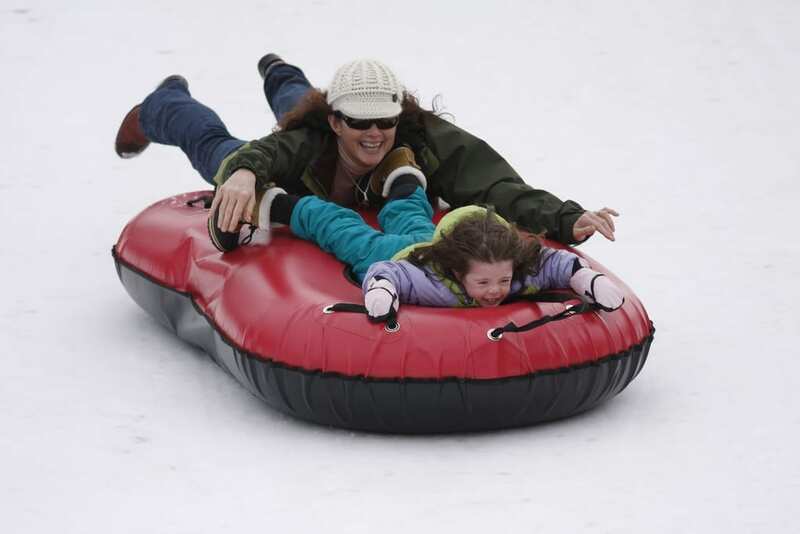 Here are Oregon’s water parks, aquatic centers and water slides. Wings and Waves Waterpark at the Evergreen Aviation & Space Museum. 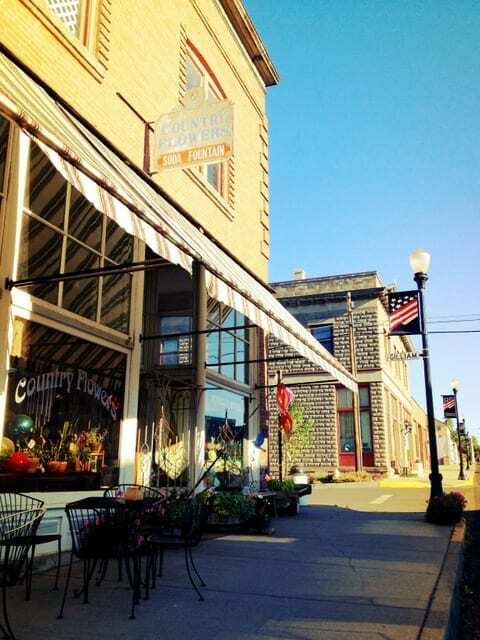 McMinnville, Oregon. It’s an air museum. No, it’s a water park. Well, it’s both. 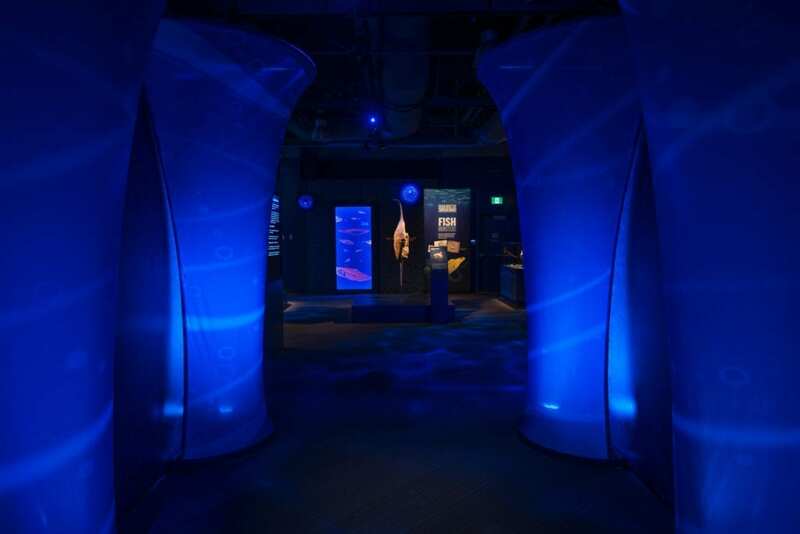 Although admission is pricey ($32 for an adult), you’ll get to enjoy a wave pool, a vortex pool, fountains, slides that take you right past an airplane (and nine more slides), along with an indoor playground. 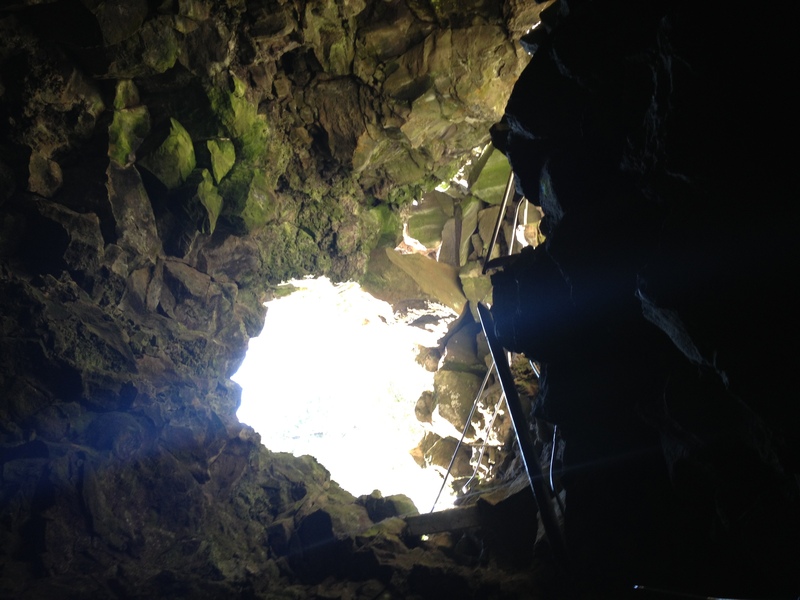 Located about an hour away from downtown Portland. Splash! At Lively Park. Springfield, Oregon. 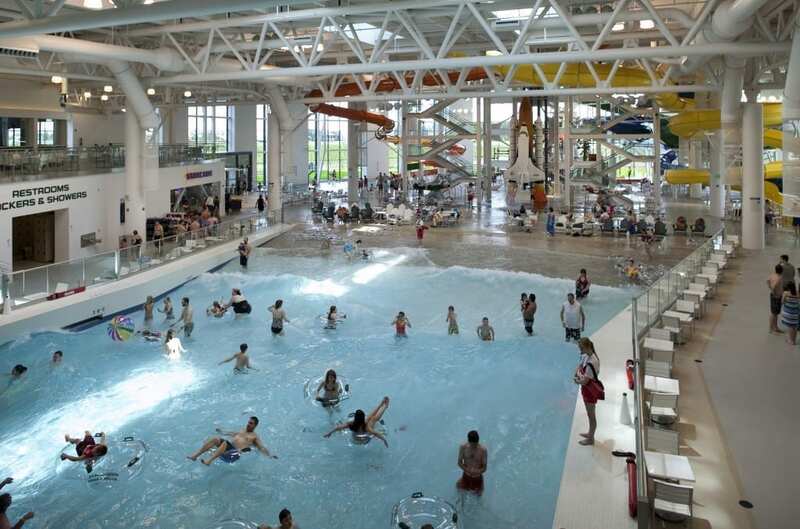 In a Eugene suburb, this indoor city water park is one of the best in Oregon. Ride inner tubes in the wave pool, slip down the 144-foot water slide and let babies and toddlers sit in the bathtub-warm infant pool. Pendleton Aquatic Center. Pendleton, Oregon. A fantastic outdoor, summer-only aquatic center in dry, hot Eastern Oregon. Fountains, a giant pool (with zero-depth entry), huge slides and baby slides, too. North Clackamas Aquatic Park. Milwaukie, Oregon. A suburban indoor water park with three brightly colored water slides, an 85-degree wave pool and free lifejacket rentals. Just south of downtown Portland. City of Astoria Aquatic Center. Astoria, Oregon. 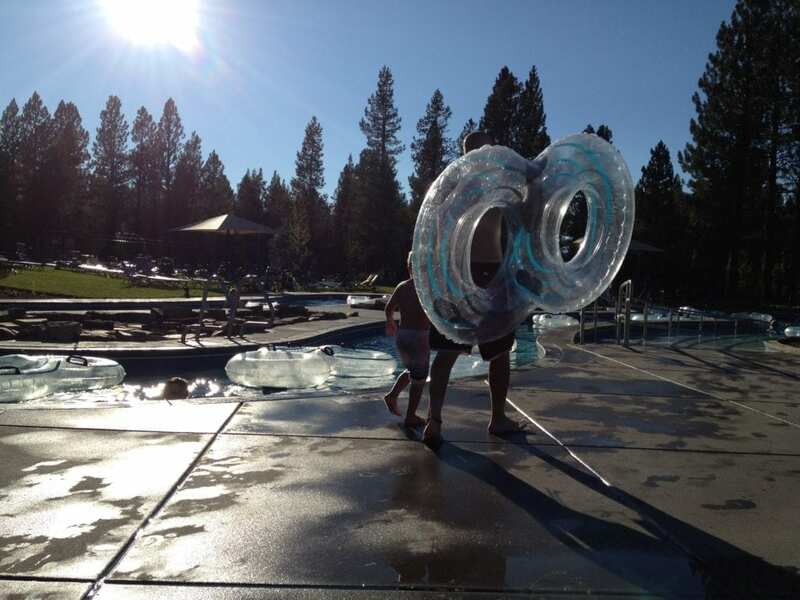 When the weather just won’t cooperate, this North Oregon city aquatic center offers two slides, a hot tub, lazy river and toddler pool, along with the usual lap pool. Yes, this is a lake — but it’s a lake with a water slide. How cool is that? A 280-foot twin flume water slide splashes down into the lake, right next to the campground. Located in the Pearl District shopping area — just a few blocks from Powell’s Books — this is a low-stress water feature. Fountains of water create little water falls down steps, which pour into a shallow bowl below, filling it. The water drains, and the cycle repeats. Great for toddlers and preschoolers. Each turn on an Eastern Oregon road trip presents a new view of the region. Driving through valleys and over peaks carved by ancient floods, you’ll encounter flat range where cattle graze, basalt mountains that stretch thousands of miles into the blue sky, yellow wheat fields bending with the breeze, white windmills generating power for a growing urban population. Truly unusual sights dwell here, yet it’s not too difficult to find a room, even during summer’s peak travel season. It’s like a little slice of undiscovered Oregon — so get out there. Here’s a trip to remember. Shop a tiny Powell’s at Country Flowers Soda Fountain, a one-woman emporium of gifts, lattes, great kitchenware, beauty supplies and yes, a very small Powell’s Bookstore. Really! It’s a book-lover’s oasis.Condon Café offers microbrews on tap, bottles, pizza, salads and fine service. Wash the grit off at the restored Hotel Condon, a welcome sight after a day driving along hot, dusty roads. 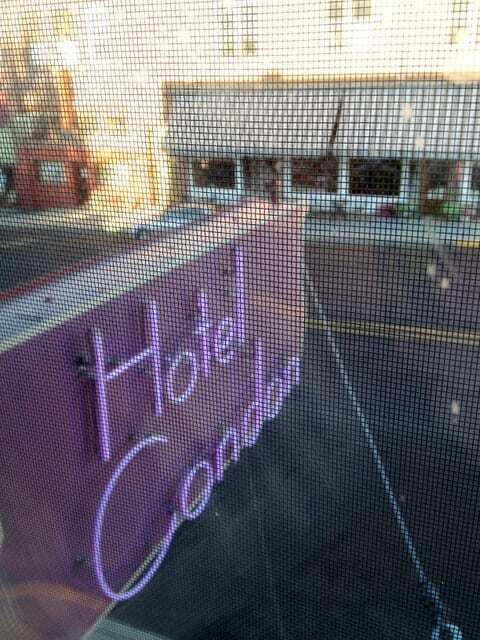 This 1920-era hotel offers spacious rooms for families, cable, and yes, hot showers. Truly one of my favorite little Oregon hotels. 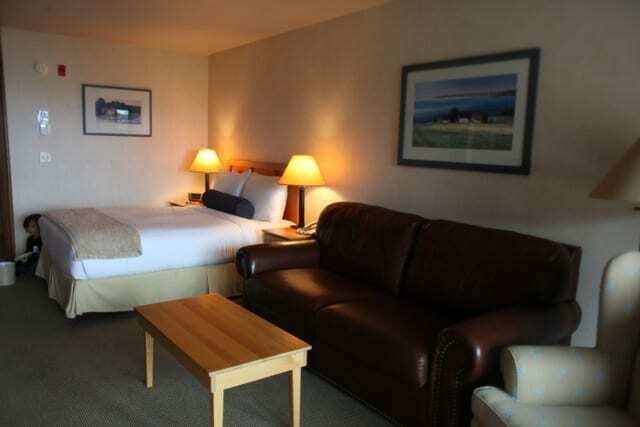 Wine and cheese hour and a continental breakfast is included in the nightly rate. Drive back in Time. 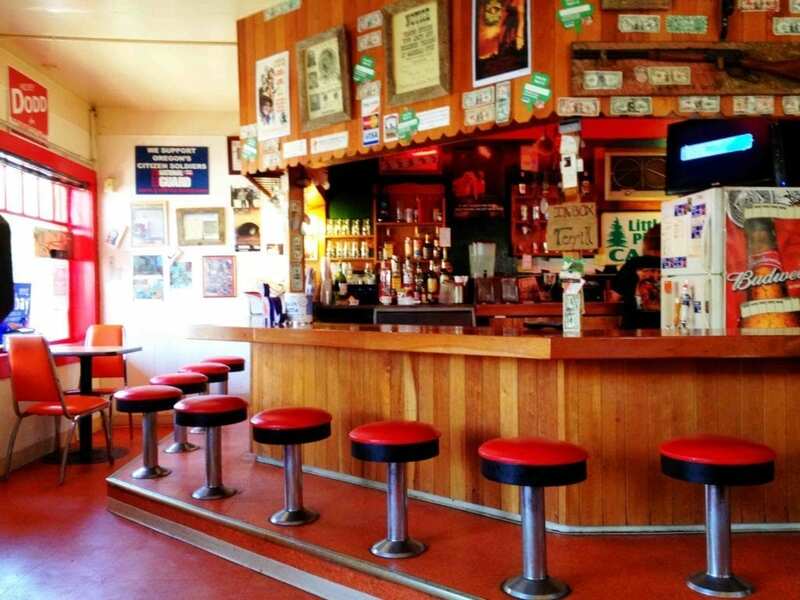 From Condon, it’s a 20-minute drive south along the John Day Highway, a valley with giant basalt mountains cut by floods, flanking both sides of the road, until you reach the town of Fossil. Find fossils in the aptly named Fossil. 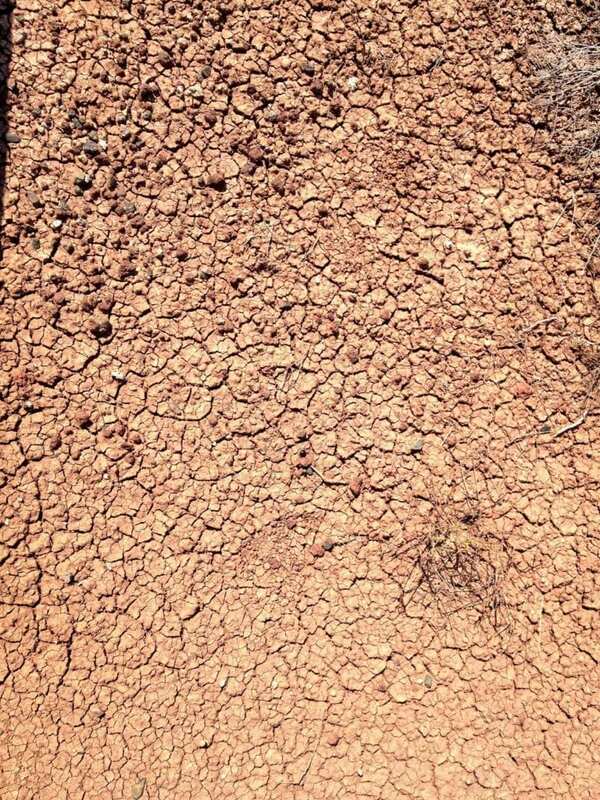 Behind Fossil High School, you’ll find Oregon’s public fossil beds, where you can scrape and brush aside layers of dirt and rock to find your very own plant fossil, such as the needles of a metasequoia that fell 33 million years ago. 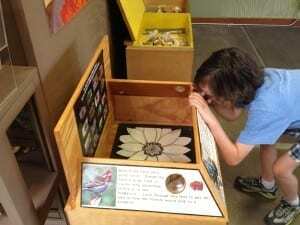 The fossil tools are free for use by anyone, but there is a $15/four-person family admission fee. 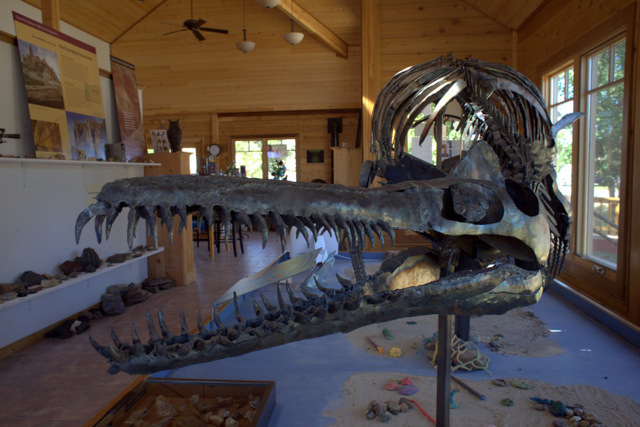 Meet ancient residents at Oregon Paleo Lands Institute, which has a full-size Plesiosaur found right in Fossil, along with little puzzles and playthings for younger children. 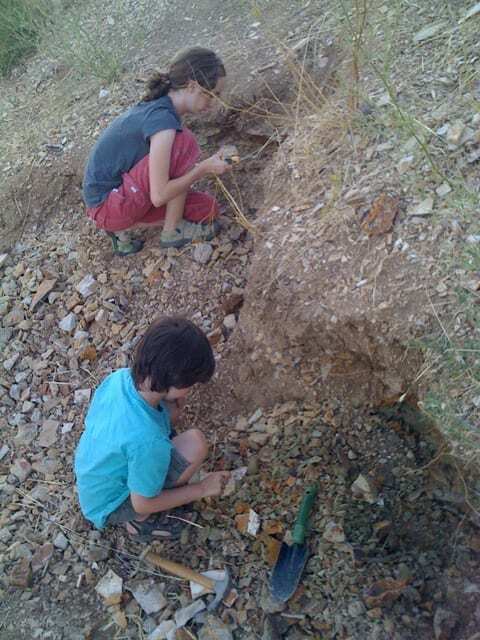 Don’t miss the family activities at OPLI, if you can arrange your visit around one of the hikes. From Fossil, you have two good choices. 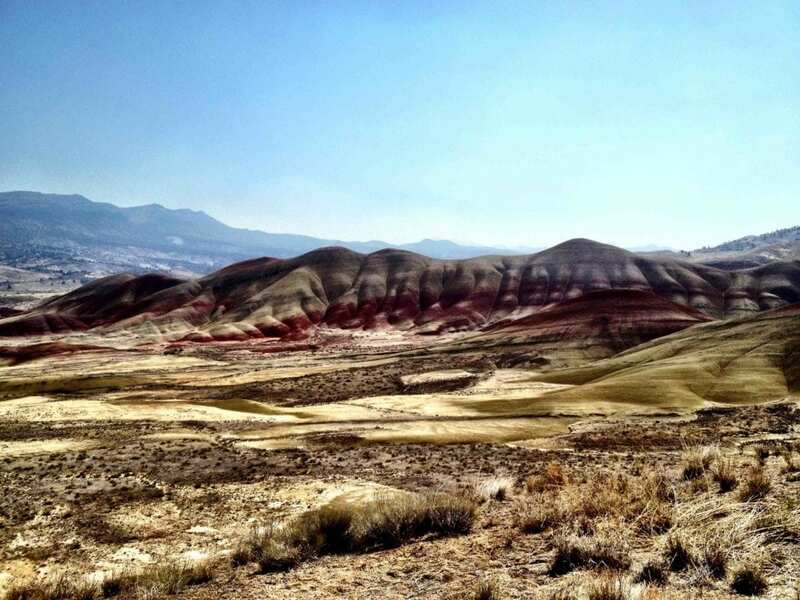 You can drive for another hour south toward the Painted Hills, which are stunning; I recently wrote about the Painted Hills. 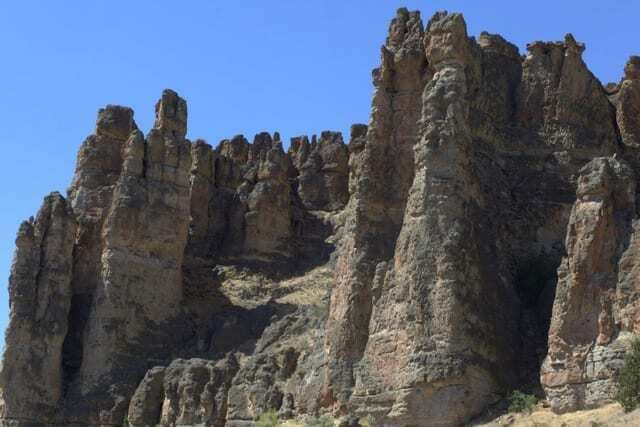 Or you can drive a half-hour west for an otherworldly hike at the Clarno Unit of John Day Fossil Beds, just 18 miles west of Fossil; giant rock outcroppings almost look like a sci-fi high-rise made of stone (those little holes/windows look they belong in alien condos, for sure). It’s a great place to picnic. 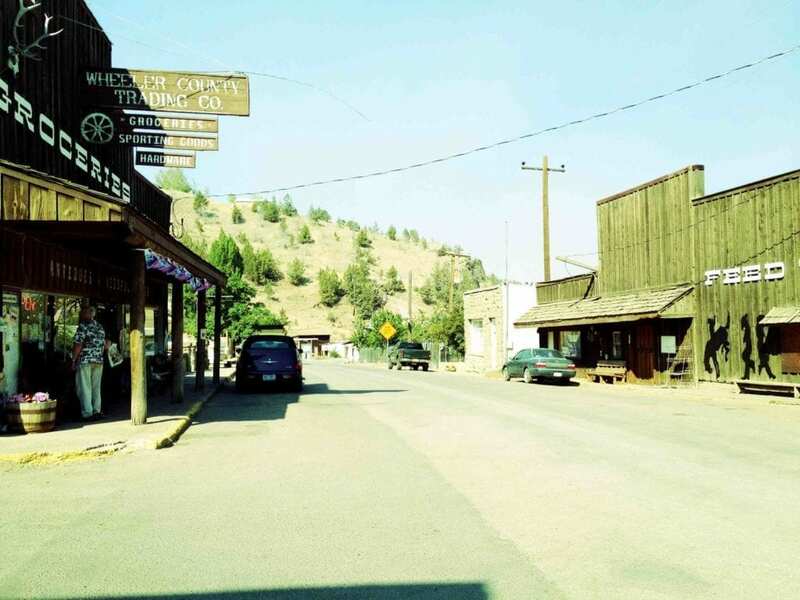 Heading north again, don’t miss a chance to creep through the Oregon ghost town Shaniko, where the town’s remaining buildings are painted in almost-giddy colors. 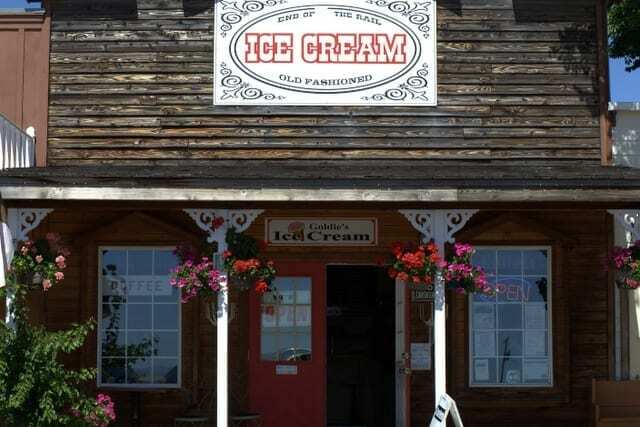 You can still get lunch or ice cream in town though — without scaring your wallet. 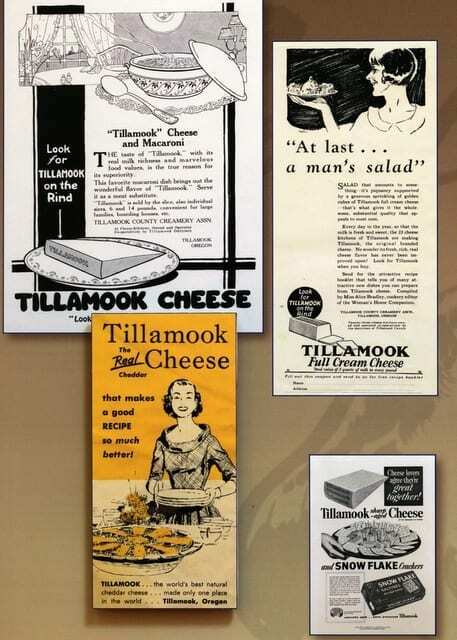 From here, it’s about a 90-minute drive to The Dalles. Eat at Burgerville, just for me. Drive back toward Portland along I-84, through the Columbia River Gorge. The Oregon Dunes National Recreation Area — the largest coastal sand dunes in North America – makes you feel exactly like Luke Skywalker. Well, maybe you won’t look or sound like him, but after 10 minutes here, you’ll empathize with Luke’s long walk over those huge, majestic dunes on Tatooine. Naturally, kids LOVE this place. 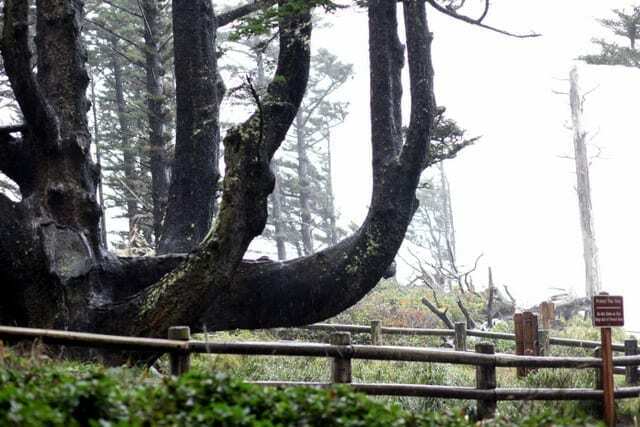 As if dropped right into a giant’s sandbox, you’ll find giant 500-foot-tall (152 m.) peaked mounds and “tree islands,” where trees cluster together, surrounded by sand. 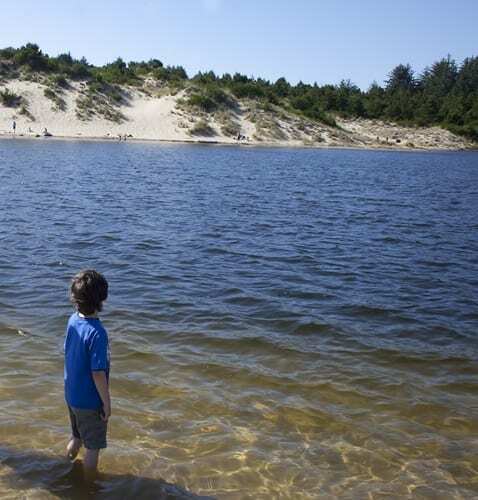 The Oregon Dunes NRA Visitors Center offers hiking tips through the dunes, info on the area’s natural history and summertime programs on the plants and animals of the dunes. No tusken raiders actually live here, boo. 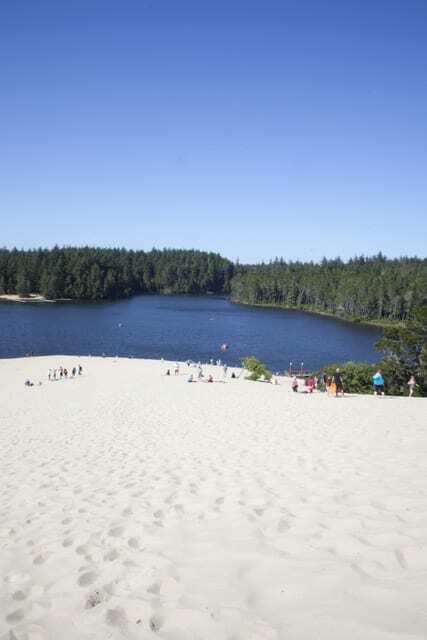 Jessie M. Honeyman Memorial State Park is a great place to experience the area’s unique landscape — walk the dunes, watch kids sled or snowboard down dunes, and visit the beach. The park’s freshwater lake (Cleawox) was warm enough to qualify as a “bath” for my kid, who hates baths but didn’t complain here. The dunes stretch for forty miles long along the coast, so many visitors opt to see them in a giant, slow-moving dune buggy (you can even bring a baby in a carseat on a buggy) or a faster sand rail (required: goggles, a helmet and age 3 & up). In either case, reservations must be made in advance with one of the dune buggy outfits. Sandland Adventures has a nice little Family Fun Center with bumper boats, if you want to cool off after a Sandland buggy ride. 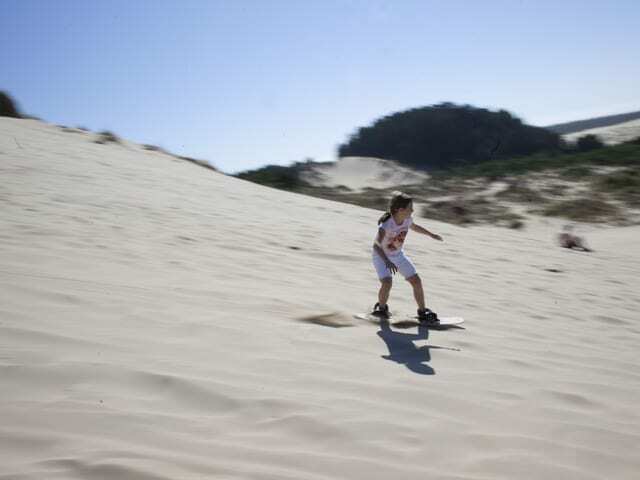 If sandboarding looks more your kids’ speed, Sand Master Park rents gear, gives lessons and offers family packages. The park is right next to a Fred Meyer, and it’s funny to see the sand actually moving into the parking lot – it creeps inland 16 feet per year. Maybe some day we’ll all be driving sand buggies. You can stay at Jessie M. Honeyman in one of the yurts — or bring your tent. 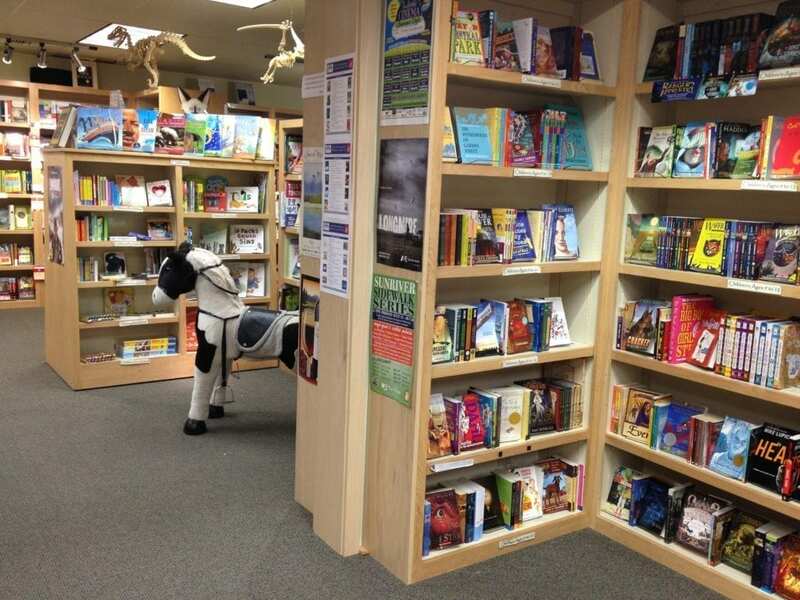 Book far in advance, because it’s a popular destination with great weather. We stayed at the Driftwood Shores Resort right on the beach, which was fine and clean, if a bit dated and mildewy in spots (hey, it’s the Northwest Coast — only so much you can do about things like this). A bonus: The Inn has a small children’s aquatic play area with fun showers and sprinklers — a nice back up if you do arrive on a very windy or rainy day. Mo’s in Florence Old Town. 1436 Bay St., Florence, Oregon. So, the seafood is similar, perhaps, to your grandparent’s seafood restaurant (like a fancy Skipper’s, maybe). 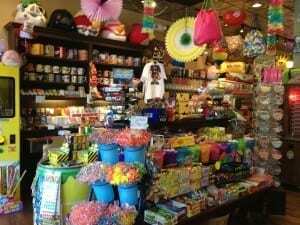 You can’t beat the location (right on the water), the kid-friendly aspects (really noisy restaurant, crayons, kid menu) and the fact your child’s palate and your grandparent’s palate are probably not too dissimilar. It’s fine. Order an appetizer if the restaurant is busy, as you may wait a while for your food. Maple Street Grille. 165 Maple St., Florence, Oregon. An upscale restaurant with solid meal options, including well-cooked salmon, chicken and pasta. A bit more formal and expensive. No kids’ menu, but kid-friendly restaurant staff will help your children find yummy food, such as mac ‘n’ cheese. Nature’s Corner Cafe and Market. 185 Hwy 101 Florence, Oregon. Hearty, healthy breakfasts in a very casual setting — more like a store than a restaurant. Vegetarian, vegan and gluten-free options. It can take a while for the food to arrive (maybe order something small to take the edge off). But when it does arrive– yum. 1285 Restobar also looks like a decent option for pizza and Italian food. Read more about Florence with Kids. 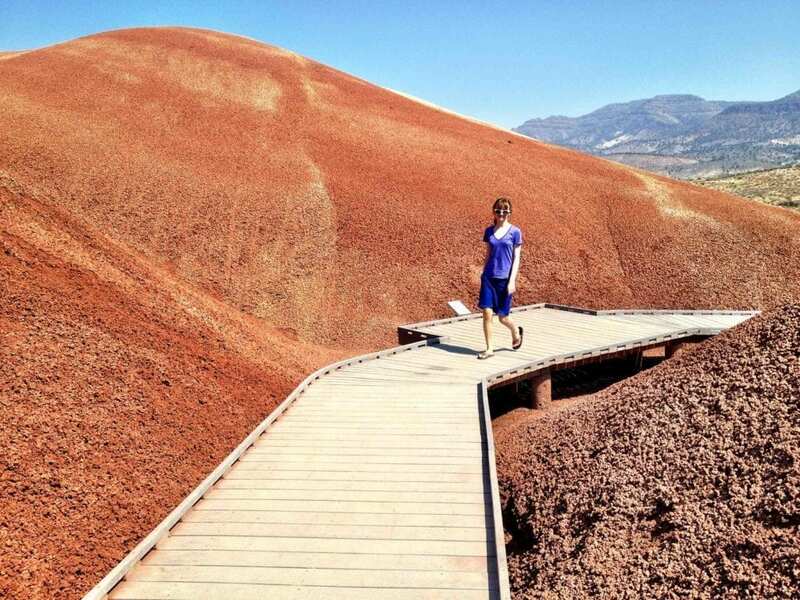 The Painted Hills are one part (or “unit”) of a three-part Oregon national monument: The John Day Fossil Beds, located in Eastern Oregon. They’re all pretty cool, but I think this is my favorite. 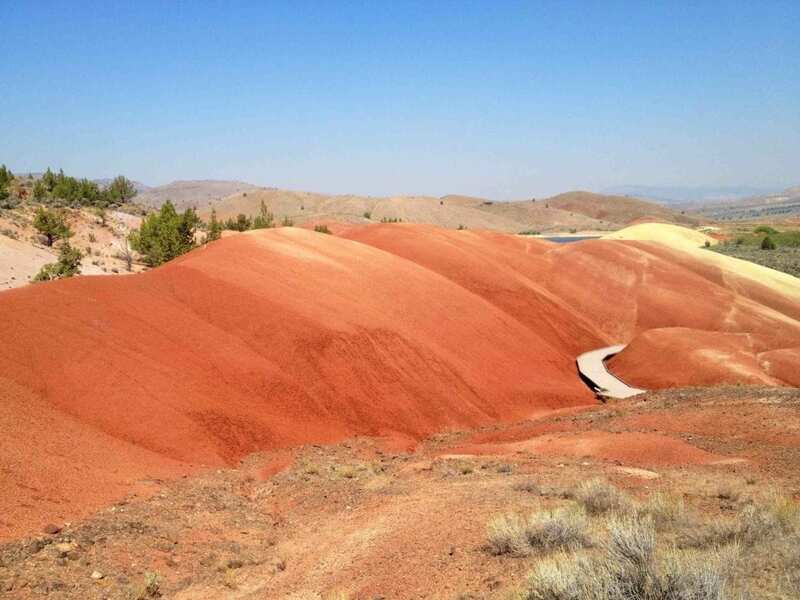 Over millions of years, ancient Oregon volcanoes spewed ash that fell, then transformed into these breathtaking mounds of crimson, gold, and ebony claystone (bentonite). Lacy fossil leaves and metasequoia needles were found here — evidence of a once-damp, rainforest-like climate almost impossible to imagine today. Smart travelers pack a camera — during spring, otherworldly parfait-like layers of color brighten after a rainstorm, and more than 22 varieties of vibrant flowers blossom in the hills and valleys. 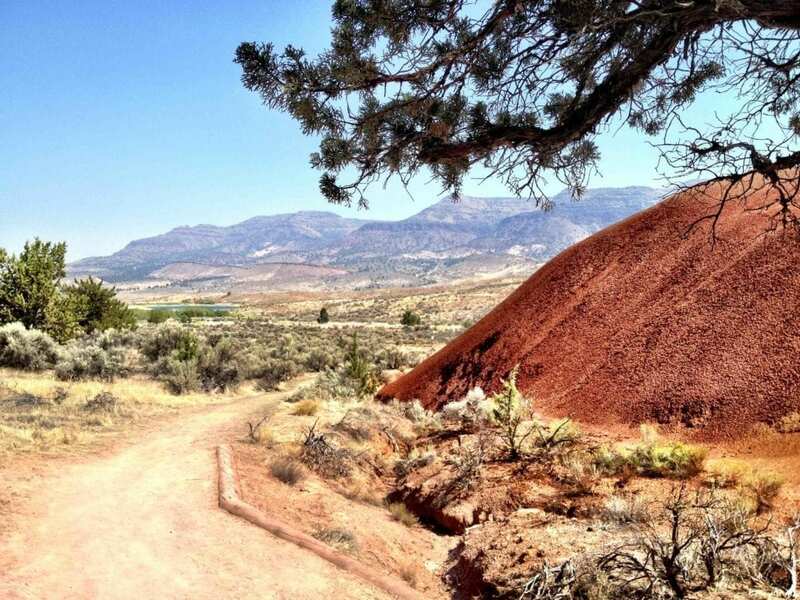 In the summer, the bright red hills almost seem to show off beneath brilliant blue skies. From a distance, the ground looks velvety, or like the playground surfacing now so popular. But it feels like hardened mud. Bentonite expands as it absorbs water, then cracks and breaks as it dries. Today, bentonite clay is used in kitty litter, among other things. 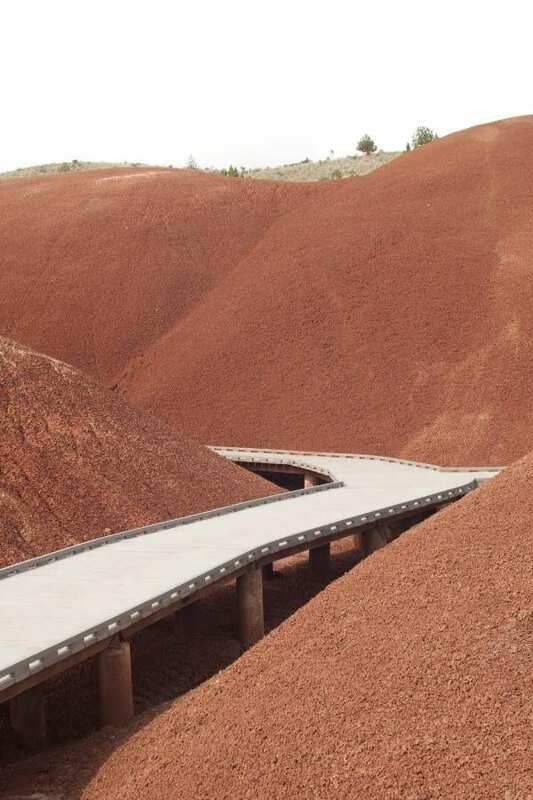 Boardwalks weave around the bright red mounds for the gentle (but otherworldly) 1/4-mile Painted Cove hike that even a preschooler or baby-jogger stroller can manage. It’s very hot out here though, with few shady spots. Slather on the sunscreen before leaving the car, and if you decide to go on one of the non-paved, more strenuous hikes that cross the Painted Hills, then bring lots of water for everyone. A mile doesn’t sound far, but in 90-degree temperatures in midday sun, it feels like a slog. 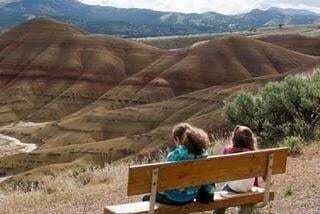 A picnic area is available; pack a picnic, because there are not many food options are nearby, except for the nearby dead-end town of Mitchell, Oregon, nine miles from the Painted Hills. Half of the town’s buildings appear to be sinking into the earth, a ghost town in the making. We ate an unforgettable breakfast at the Little Pine Cafe. Three words: Ice cream pancakes. They were somehow both scary and awesome. The kids loved them (of course), and I liked the cafe’s decor. The service was fast and friendly, and the menu is stacked with classics like onion rings and burgers. It felt very old-school Oregon. We still talk about that cafe. See? Unforgettable. If you want to find more great places to go this summer with kids, head to Delicious Baby’s Photo Friday. Cari Gesch, a Portland-based mom to two kids (ages 10 and 4), travels the Northwest with her trusty camera in tow. 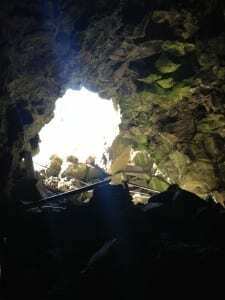 This professional photographer (check out her blog, Wahkeena Exposures — it has tons of awesome photos and travels focused on Oregon) recently went with her husband and kids on an Eastern Oregon escape. 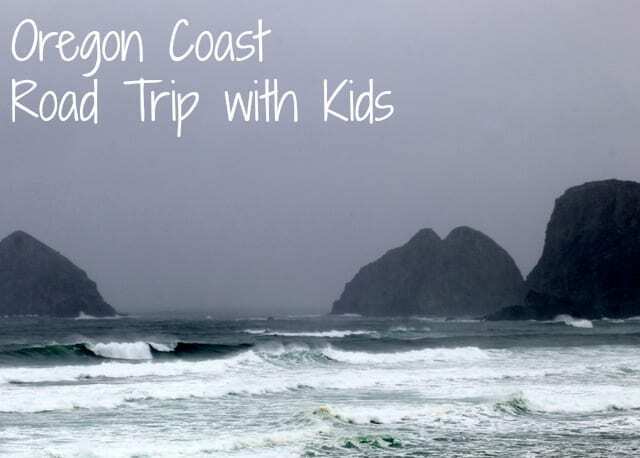 Let’s discover what her kids loved most about life east of the mountains — and what it’s like to travel Oregon in a 32-foot-long RV. All photos courtesy of Cari Gesch. Q: What did you do on your family trip to Eastern Oregon? Which activities did the kids enjoy? My oldest, Sage (age 10) really enjoyed the Painted Cove Trail at the Painted Hills unit of the John Day Fossil Beds. She said she felt like she was walking on the surface of Mars, and she really enjoyed the pink and purples on the surrounding hills there. Very girly girl stuff for the outdoors. We had joked that we had expected to see an alien pop up around the bend in the trail, but only happened upon a lizard, which was no less exciting. 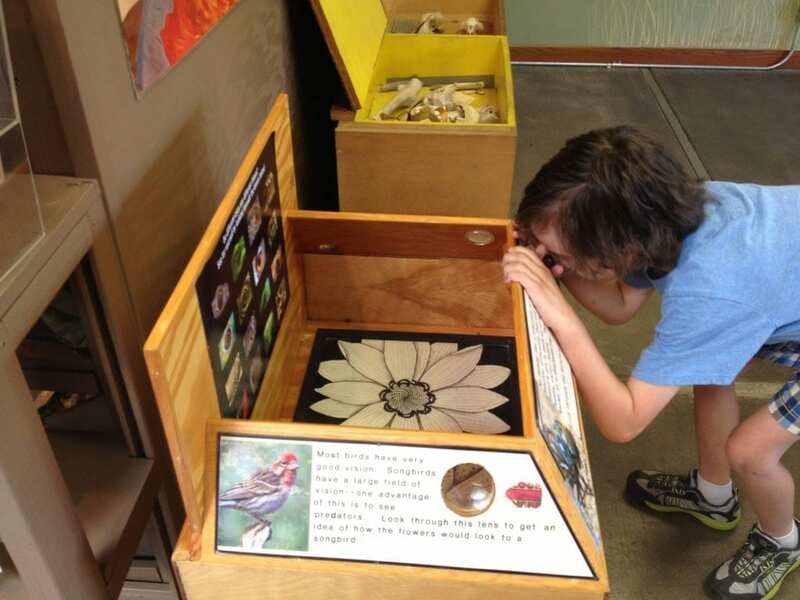 My youngest, Odessa, (age 4) really enjoyed all the different wildlife that we encountered along the journey, along with the “skulls” at the Thomas Condon Paleontology Center at Sheep Rock. This is a great museum and I couldn’t believe it was free. 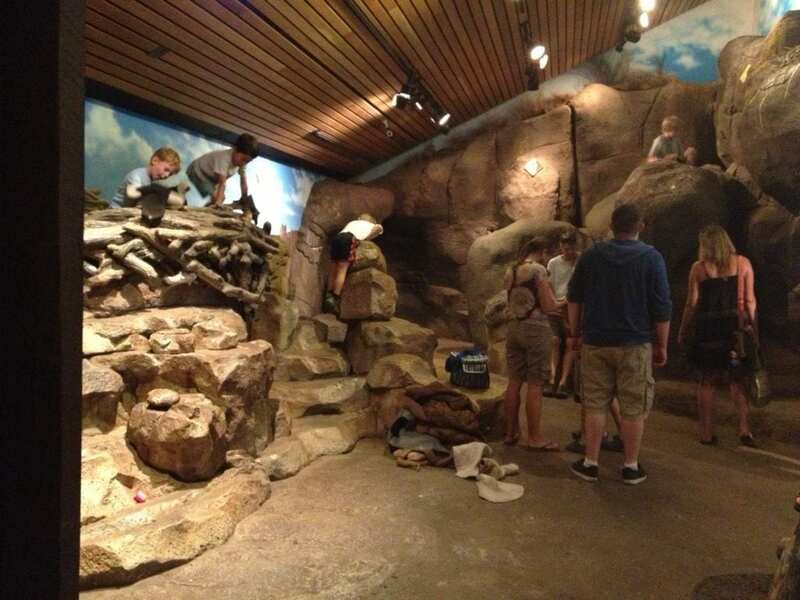 Lots of information on the pre-history of the area and they have a great hands on area for the kids. We could barely drag my youngest out of there she was having so much fun. 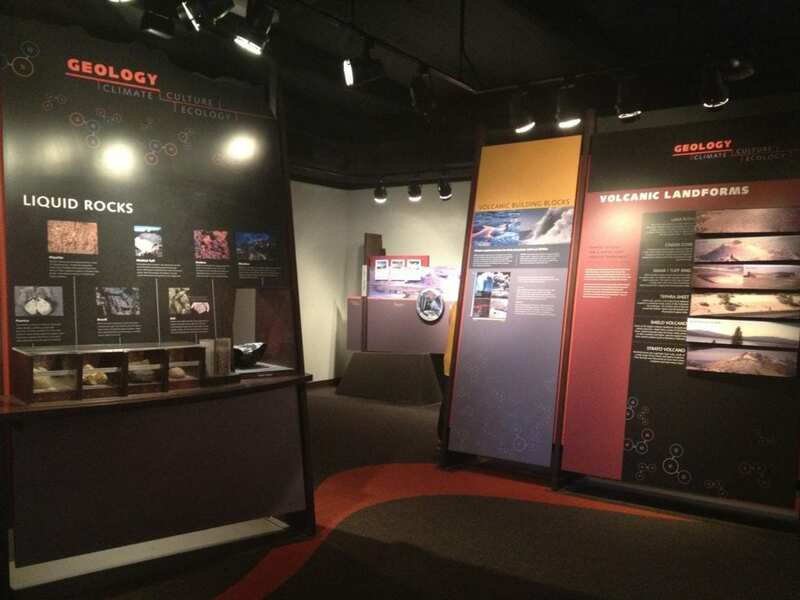 It was also interesting to see the actual lab where scientists work, though they were on their lunch break when we stopped in. Just gives us another reason to go back some day! We encountered several kinds of deer, mountain goats, antelope, and especially enjoyed the wild stallion we encountered. There is a special thrill to be had when viewing animals in their natural habitat, especially when it’s a surprise to find them around a corner when you don’t expect them. 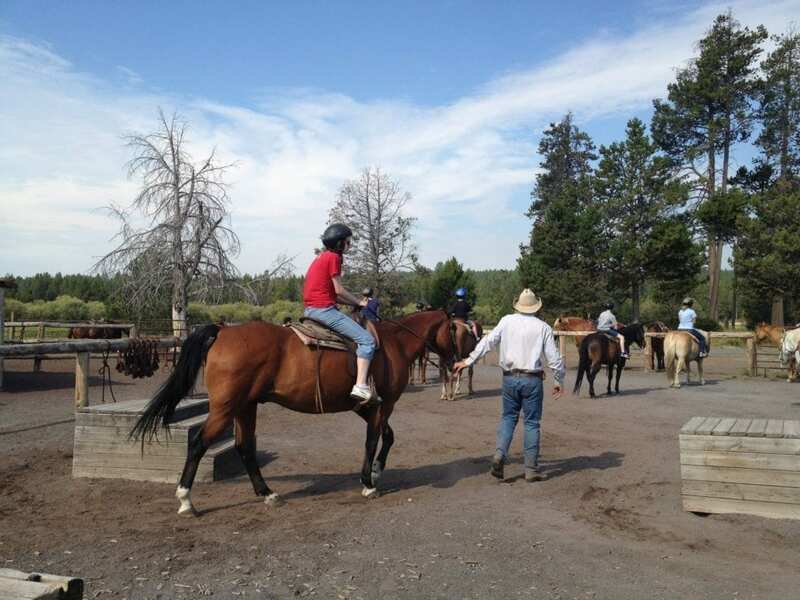 Odessa, when we happened upon the horse, made a point to “hush” my husband when she thought he was making too much noise and might scare the horse off. We also stopped in at the Oregon Trail Interpretive Center just outside Baker City. As it happened, my oldest daughter was studying the Oregon Trail at the time, so she was particularly fascinated with the exhibits, which really left you with a sense of what the pioneers had to go through to make it to Oregon. However, there is one portion of the museum, where a mannequin of a mother is crying over her son that died, and this seemed to upset my youngest. Both kids really enjoyed traveling in an RV for the first time. While they are accustomed to taking long road trips, this was just so much more comfortable for them. They could sit at the dinette table and color, draw, have a snack or play games as we motored down the highway, rather than being stuck in their seat. Always having a bathroom in close proximity also made things a lot more enjoyable! Q: Can you explain a little more about the RV? Did you already own it? Did you rent it? How big is it? Did the RV make a big difference in your actual travel or overnights? The RV was a 32 foot, Class C (Lora’s Note: Go to JR Consumer Resources to read more about the different types of motorhomes). Technically, the RV was a rental. My husband happens to work for an RV dealership, and one of the perks of employment is being able to take rental units out at no charge. The normal rental for a unit that size runs around $1000 for a weekend, plus an additional mileage charge for anything above 300 miles. I think that the RV made a huge difference. While during peak travel seasons it might be a little bit more difficult to find a spot for the night if you haven’t done some pre-planning, in our situation it allowed us to have the freedom of going wherever our mood took us, without being locked into hotel reservations somewhere, or, as in the case of our stop along the Snake River, there not being any hotels at all available. I can’t tell you how convenient it was to have a bathroom always near, because we were definitely in some areas where there were no restrooms close, so it allowed us to explore a little more off the beaten path. However, there are some inconveniences associated with RV travel, especially if you are not towing a “dingy” vehicle. For instance, if we had wanted to say a couple of nights in one place, we would have had to pack up camp, go enjoy whatever activities, and then return to our spot. Also, there are just some roads and places you can’t take an RV, especially if you are not experienced manning the wheel of one. For example, when we crossed the river at Copperfield and took the road to Hell’s Canyon Dam, the road was very narrow and windy, and might be a little nerve wracking for some. Once we got to the dam, there was a point we could drive no further, due to clearance issues, and had to turn around and go back. Would have liked to have seen what is up there. Overall, traveling in the RV was a positive experience, especially for the kids. They were not stuck in their seats the entire time. With the big windows, they could really take in the scenery. If they got tired of the view from the road, they could sit up to the dinette table and color, play games, and even eat a snack. We covered a lot of miles during that trip, and the kids handled it 100% better than any long car trip we have taken (even though they are pretty seasoned car travelers), and were even sad when we had to return the RV after we got home. 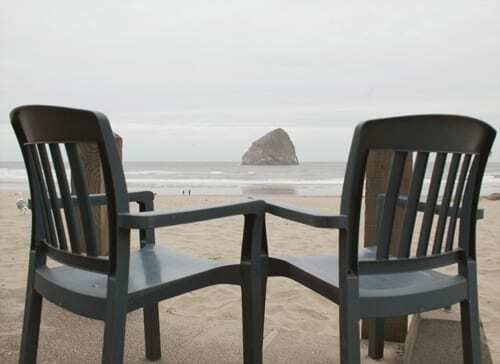 Q: How did you choose where to stay overnight in Oregon, in the RV? On this particular trip, I knew from experience there was a small 3-spot RV park at the Mitchell City Park, and we stayed there the first night. As the town is so small, it was really convenient to just walk down the street to have breakfast. We specifically stayed there because we wanted to eat the biscuits and gravy at the Sidewalk Cafe while we were in the area. The campground we stayed at in Hell’s Canyon was just a luck of the draw thing, since originally going all the way up there had not been in our plans for the trip. Travelling in “off-season” allowed us the flexibility to not have to plan ahead. Since we travelled in an RV, and it was a whirlwind trip, we didn’t spend much time in the campgrounds where we stayed. However, the campground at Copperfield Park, operated by Idaho Power but on the Oregon side of Hell’s Canyon, was quite lovely. Immaculately maintained, surrounded by lilac trees, and we could see and hear the Snake River from our campsite. Normally, especially for summer travel, I will do a Google search for campgrounds/RV parks in whatever area we plan on visiting, and try to reserve ahead if at all possible. 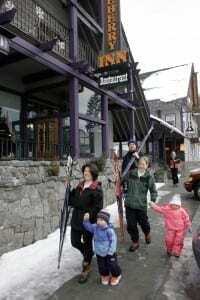 Q: Did you come across any family-friendly restaurants in Eastern Oregon? I can’t recommend The Sidewalk Café (204 West Main Street) in Mitchell enough. You did not feel like you were walking in to a restaurant, but rather someone’s home for breakfast. We were never given menus, we just told the cook/waitress exactly what we wanted for breakfast and she made it. She was so accommodating with the kids, wanted to make sure they got enough to eat and enjoyed it. Even brought them out some fruit, just because she thought they would like it. The food was excellent, the prices were more than reasonable, and we left feeling like we had breakfast with a long lost aunt. Q: Why do you think more families should visit Eastern Oregon? I think that so many times, when people think of Eastern Oregon, they have visions of sagebrush and scrub land. I honestly don’t think that they know what a varied landscape is offered on the other side of the Cascades, if they would only take the time to explore. It is so refreshing to drive, and literally get away from it all. For instance, on Highway 26 between Prineville and John Day, we didn’t encounter one fast food restaurant. The people are so friendly and welcoming, which really is a nice change from the hustle and bustle of “city life”. The Painted Hills are truly a natural wonder that everyone should see, but I think very few people are even aware that they exist. Families can really relax and spend quality time together, plus learn a little about geology, paleontology and history in the process. My kids are already asking when we could go back again. We would definitely like to go back and explore more of the area around Hell’s Canyon again. Due to the unseasonably cool spring, many of the higher roads were still closed due to snow. There was so much to see there and we only scratched the surface. We were also limited by time, as Hell’s Canyon was not part of our original itinerary, but I think some time in the Wallowa Mountains is also a must do! Thanks Cari. If you have a tip on where to go with kids in Eastern Oregon or things to do with kids in Eastern Oregon, let us know in the comments below.